The new YInMn blue , with an unpronounceable name, comes from the synthesis of three oxides and has an extraordinary chromatic characteristic: its purity is such that it does not show white or black pigments. It is an intense and bright color that reflects light well and adapts to multiple areas of use. Suitable to furnish above all the night area , the blue conveys peace and harmony, evoking the colors of the sky and the sea, combining sleep. Highly recommended for fabrics and bed linen or towels. When you choose this color you can use solid colors, stripes or floral patterns. If the choice fell on the walls it is advisable to carefully evaluate the size of our spaces and the shades of color. In fact, in its darker shades the blue gives depth to the large rooms and high ceilings, while in the narrow spaces it becomes suffocating. If we do not want to dare with the walls we can fold with a bedspread, a small armchair and other accessories. The blue goes perfectly with light nuances, with beige, with gold. In an environment with predominantly light colors, our blue accessories will stand out immediately capturing your attention. With the blue we can also furnish the other rooms of the house. For example in thekitchen we can choose between two solutions: the single wall or the furniture.The blue wall will give elegance to the environment by embedding the furniture with a touch of great refinement. Do not overlook the choice of flooring or other accessories that play tone on tone transmitting harmony to the environment. 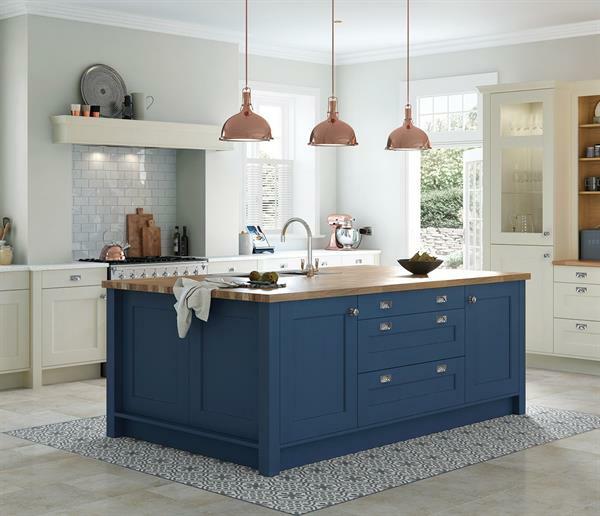 Having larger spaces you can opt for blue furniture. Also in this case it is a very refined solution that needs the right mix of accessories and accessories. Even in the living room we can choose between a very elegant wall or simply to limit ourselves to the fabric of the sofa, not neglecting the importance of cushions, paintings, curtains or other accessories that make a reference. 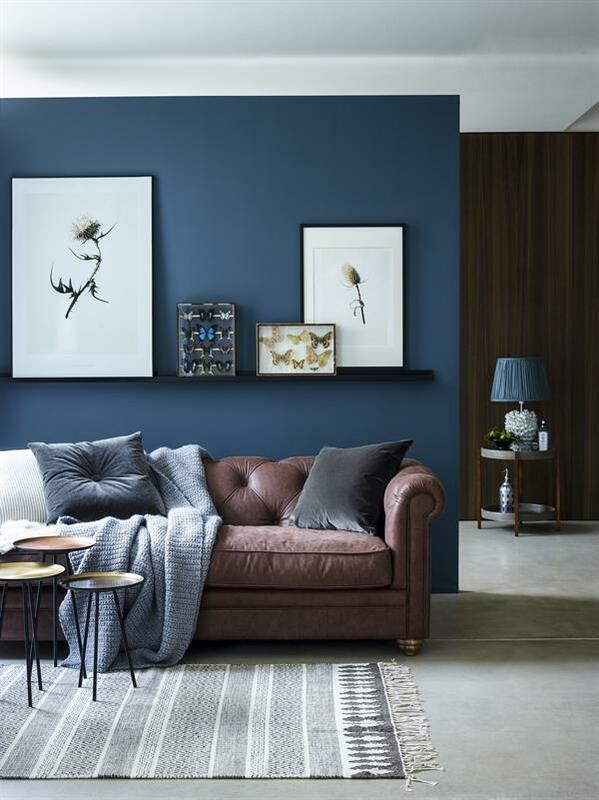 An aged dark leather sofa goes very well with a blue part. Even the accessories do their part by giving light to a well-harmonized environment. Finally, the bathroom where the choice of the color mainly falls on the vertical tiles of the shower box. On the mosaics around the sink and finally on different accessories. In the latter case it is not essential that the choice of combinations is tone-on-tone. But on the contrary we can decide for light woods or other shades that give liveliness to the environment.